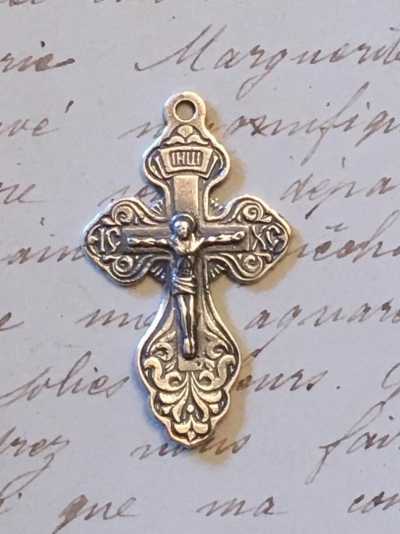 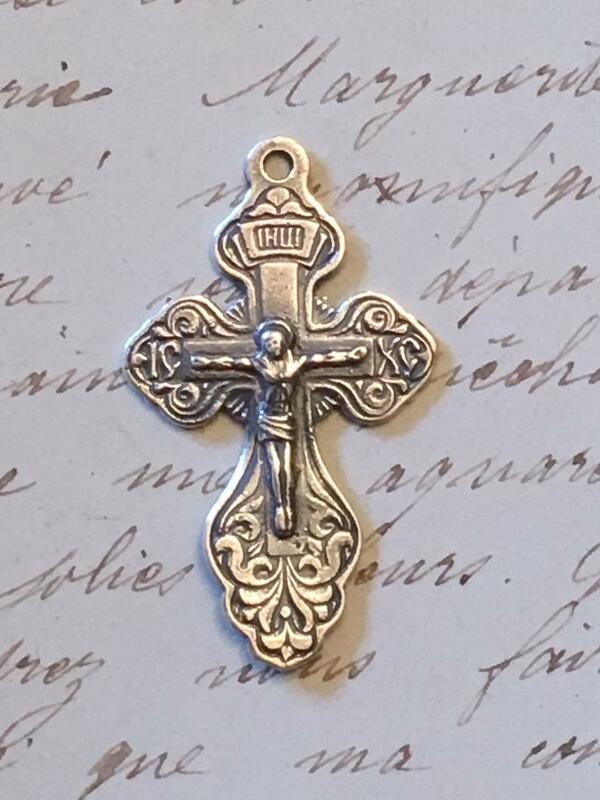 This delicate Russian Crucifix features Christ on the front. 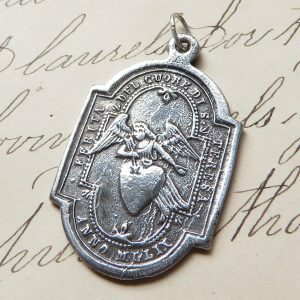 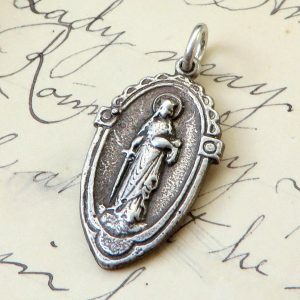 The back shows the Holy Spirit in the form of a dove at the top and at the bottom is the Blessed Virgin Mary holding a young Jesus on her lap. 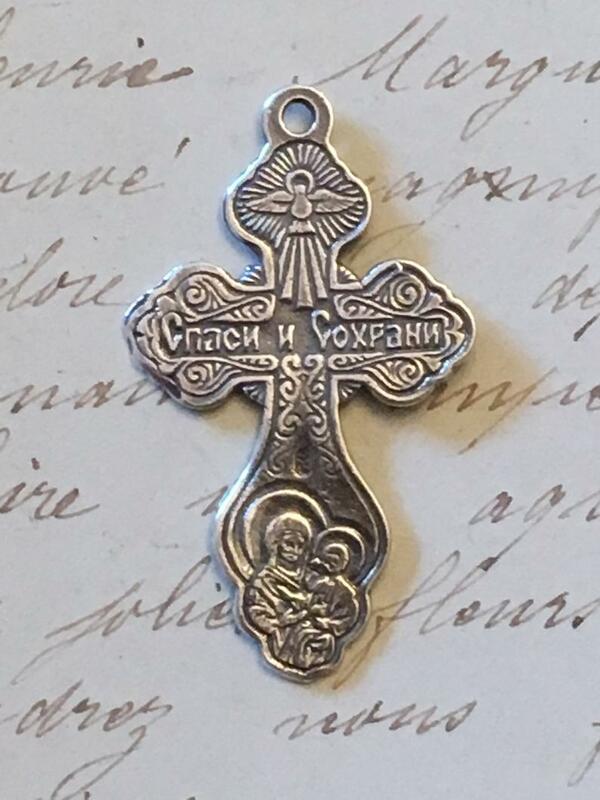 The Russian phrase across the center is “Спаси и сохрани” which means Save and Protect. 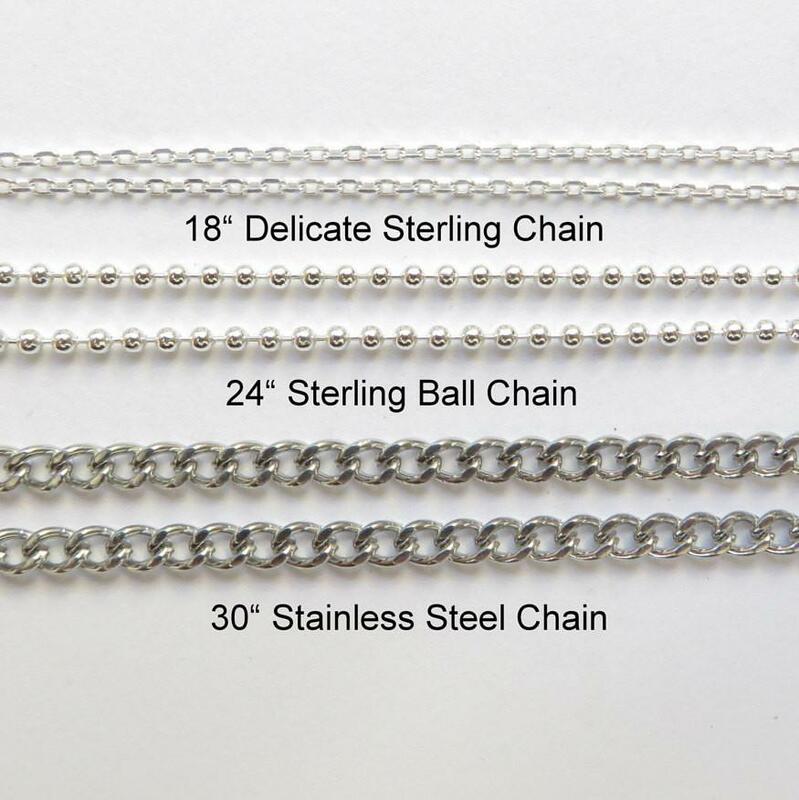 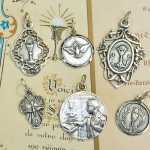 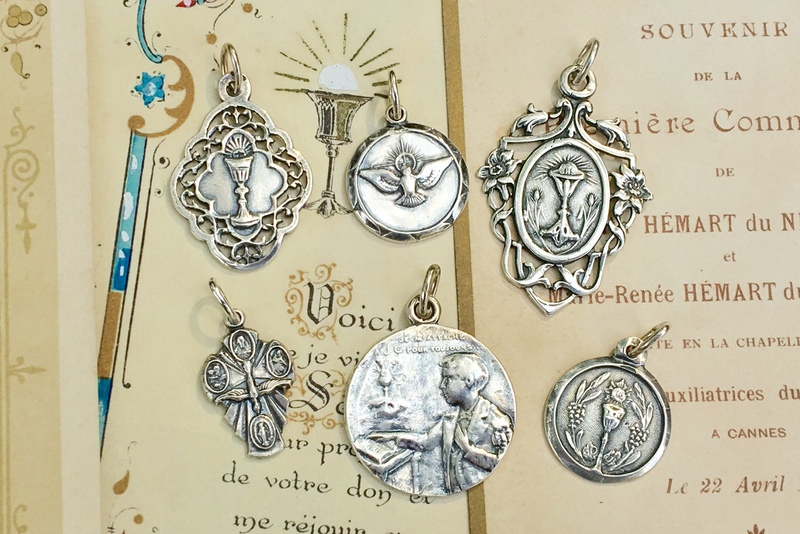 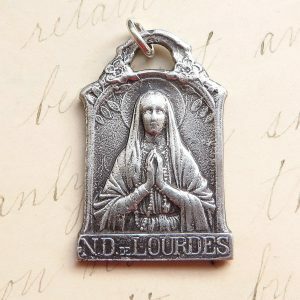 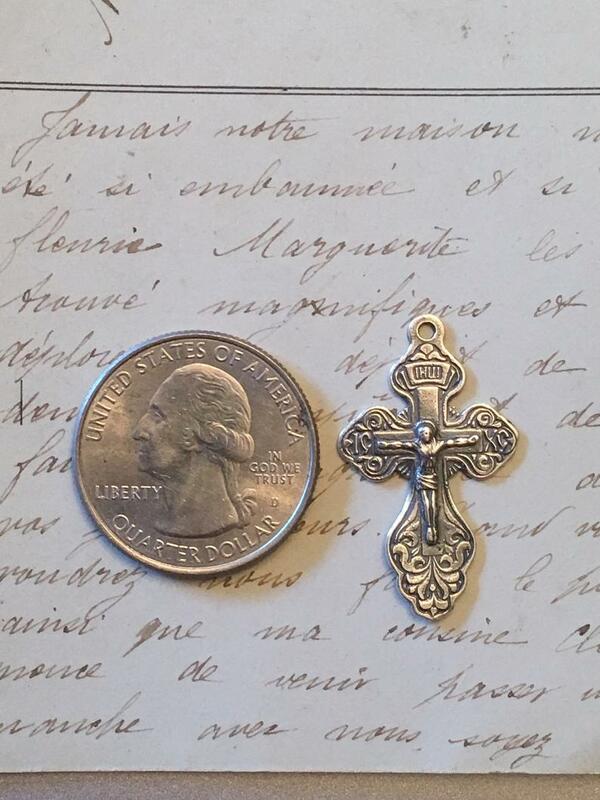 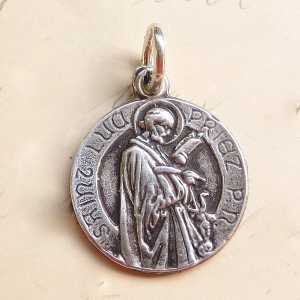 It’s a smaller size than many, so it makes a great First Holy Communion or Confirmation gift.